Granada Television was once described as the ‘greatest television company in the world.’ And indeed during the 1970s and 1980s it boasted programmes such as Coronation Street, World In Action, Brideshead Revisited, The Jewel In The Crown, Seven Up and Disappearing World, all of them award winning and highly acclaimed, both by both critics and the general public. Many of these programmes, along with their presenters, remain legendary in television history. 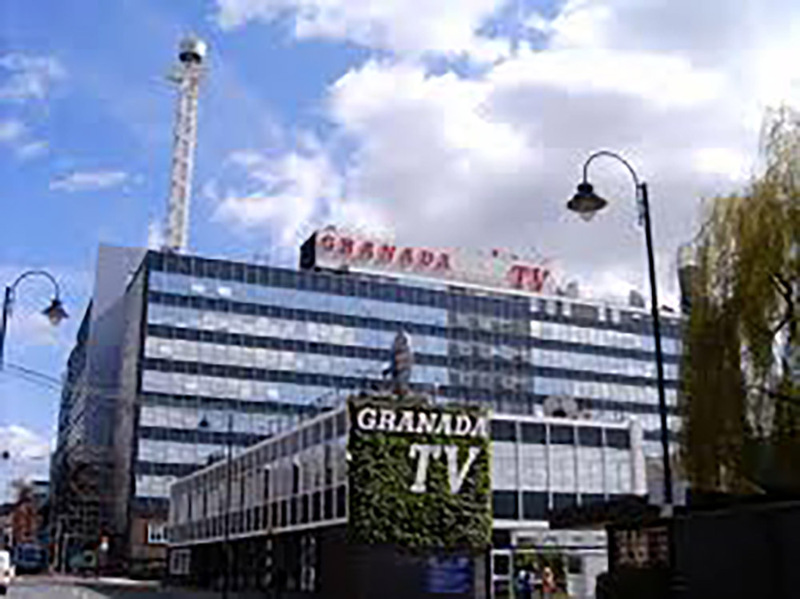 Founded by Sidney Bernstein in 1954, Granada began broadcasting to ‘the North’ in May 1956 when independent television was born, and has continued to broadcast ever since, although today it is known as ITV. The aim of this project is to collect the memories of those who worked for Granada at its Manchester, London and Liverpool offices between 1956 and 1990. These interviews include presenters, producers, researchers, directors, camera operators, stagehands, production assistants, accountants and many others who worked for the company. In particular, the project hopes to collect memories from the earlier years as many of these people are now elderly. We are mindful that if their memories are not collected soon, they may be lost forever. The Granadaland project was initiated in 2014 by two former employees, Stephen Kelly and Judith Jones, both of whom worked for the company in the 1970s and 80s. Since then they have become leading oral historians and in 2000 published a best-selling oral history of Granada’s Coronation Street. With funding and the backing of the Manchester Centre for Regional History at Manchester Metropolitan University, the project began recording interviews and securing funding from other sources. Generous donations have subsequently been made by the Granada Foundation, the Royal Television Society’s Shiers Trust and former employee, Jules Burns . All the interviews are audio and as each interview has been carried out, it has been transcribed and archived on this website so that they will be available to future academic researchers and the general public. The project has also set out to collect photographs and other memorabilia, which will be similarly archived. In 2016 we organised a highly successful day-long conference at the University to commemorate the 60th anniversary of Granada. More than 200 people attended to listen to many distinguished former employees talking about and showing some of their programmes. Since the project began more than 100 interviews have been carried out, many of which have revealed the strengths of Granada as well as some of its not so memorable qualities. The interviews also highlight such things as the changing technology of television production, the bizarre interviewing process, the power of the trade unions, Granada’s left-leaning stance, the lack of BME diversity and the company’s ‘light touch’ management. The project will continue to interview former employees and as each is transcribed, it will be uploaded onto this website. We hope that you will enjoy these interviews and if you, as a former employee, think that you may have interesting memories of the company, or photographs, then please get in touch so that we can interview you.